The backlash globoid screw gears have been designed specifically to meet the growing demands in automation. 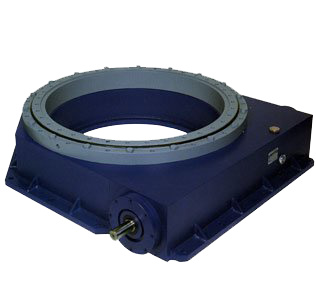 These reducers allow a backlash coupling between screw and crown, also suitable for high speed drives, as the crown is formed by a series of rollers arranged radially on the outer wrapper of a cylindrical table and pre-loaded against the cylindrical worm. They are produced in a wide range of sizes and with a choice between different gear ratios. The special features of construction allow to have crowns with primary radius just below the centres distance and, thanks to the coupling between screw and crown with rolling friction, very high yields. The backlash globoid screw gears are manufactured using standard components from SONZOGNI CAMME according to the dimensional and geometric requirements of the customer.